It has been twenty-seven years since we introduced the concept of “discount dry cleaners” in California. Any garment cleaned and pressed $2.25 with coupon ( excludes leather) our regular price is $3.00 no limit. We have our plant on premises that means you can have your order ready in just about one hour. Ask to one of our associate at the counter what time you need it and we will make it “special” at no extra charge. To provide the best possible service and quality in the fabric care industry. We aim to make a reasonable profit while maintaining a pricing structure that ensures good value of its customers. This put us another step ahead of our competition. Come and see us, you will find plenty of easy parking and a friendly smile at the counter. 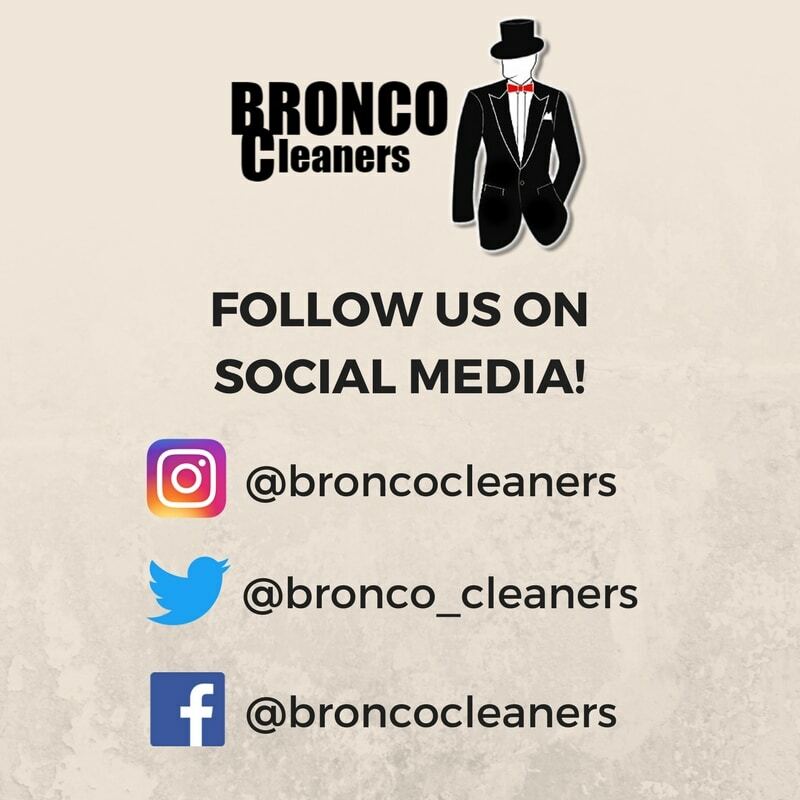 Why Choose Bronco for Your Dry Cleaning Needs? Same Day Service: In by 9 AM, Ready by 5 PM at No Additional Cost (Monday-Saturday)! © 2019 Bronco Cleaners. Discount Dry Cleaning in the Cities of Orange and Tustin.